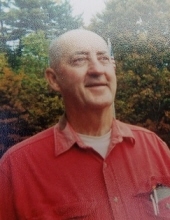 Edward E. Leary of Palermo and Augusta passed away peacefully and surrounded by family on April 2, 2019, at his home in Augusta. He was born on January 3, 1935, in North Attleboro, Massachusetts, son of Eugene and Margaret (Craik) Leary. He married the love of his life, Janice Anderson on December 28, 1957. Edward was predeceased by his infant son Sean Edward, sister Margaret (Peggy) in 1984 and his wife Janice in 2014. He is survived by three sons and their families, Shannon M. Leary and Rita Silvia of Oakland, Edward Sean Leary and Amy Giles of Portland, and Frank P. and Susan Leary of Palermo, as well as four grandchildren and two great-grandchildren, Erin Faulhaber and her daughters Madilyn Kennedy and Amelia Faulhaber of Clayton, NC; and Kevin Leary of Manchester, (daughter, grandchildren, and son of Shannon), and Paige and Kelby Leary of Palermo, daughters of Frank and Susan. A very sincere and heartfelt thank you to all of Edward’s healthcare professionals, to his family at Arch Beta Apartments whom he cared for immensely. A graveside ceremony will be announced at a later date at the Smith Cemetery in Palermo, where Edward will join his wife and together they will rest. To send flowers or a remembrance gift to the family of Edward E. Leary, please visit our Tribute Store. "Email Address" would like to share the life celebration of Edward E. Leary. Click on the "link" to go to share a favorite memory or leave a condolence message for the family.